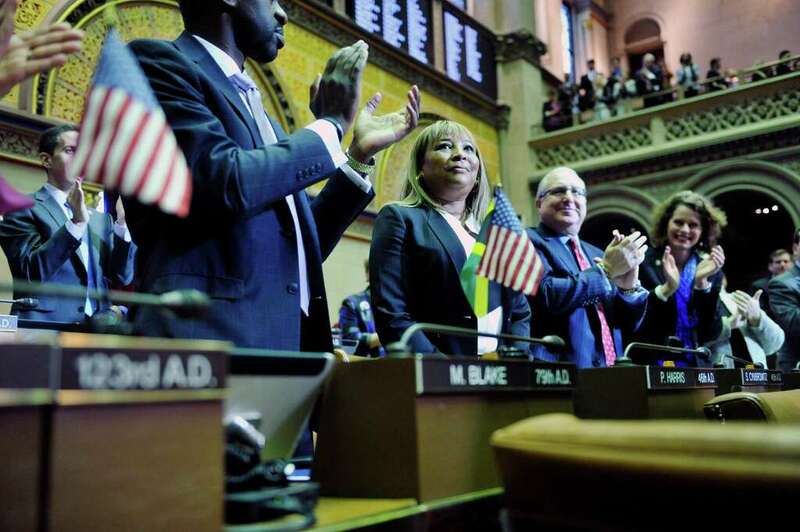 Assemblywoman Pamela Harris, D-Brooklyn, is scheduled to be arraigned Tuesday afternoon in Brooklyn federal court, where she will face fraud, conspiracy, witness tampering, false statement and obstruction of justice charges. Harris is accused by federal prosecutors of four separate fraudulent schemes, including two separate plans to pocket Superstorm Sandy funding by falsely claiming the 2012 storm forced her from her Brooklyn home and into a Staten Island residence, according to the indictment. The 57-year-old lawmaker, who was first elected in 2015, is accused of fraudulently pocketing $25,000 from the Federal Emergency Management Agency and failing to disclose it during her recent bankruptcy proceedings. The article goes on to say that the embattled Assemblywoman also received $23,000 for a non-profit called Coney Island Generation Gap, and that she allegedly directed witnesses to lie when questioned about those funds. Having survived Superstorm Sandy myself and having gotten little from FEMA for our monumental troubles, this is more than infuriating. Today's arrest weren't the first time such allegations had come to light, as Crain's Will Bredderman (then a reporter for the Observer) covered a local debate in 2015 where Ms. Harris, running in a special election for the Assembly seat she eventually won, claimed to be "too distraught to respond" to the allegations then brought to light by her opponent. I wonder how she feels about it now? This is, according to some other counts, the 44th NY state politician arrested, indicted or convicted since 2000, and the first in the last 292 days (where have you gone, Preet Bharara?) Our own count differs, but hey... we can go along with it!